Internet explorer 6.0 is one of my favorite browser and in other to browse well you need to stop some pop up ads and this steps below will guide you properly on how to perform this task. 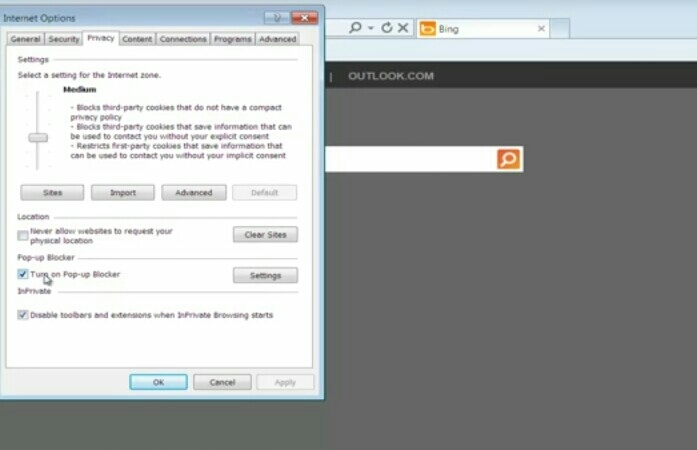 Now go to the pop up blocker settings and then type in a site URL which will act a website to allow the box. Choose the show information bar and then when the information bar appears just click on it. Click on temporarily allow pop ups. And that's all don't forget to drop your comment below thanks. Wow ooh finally I can handle this annoying pop up ads thanks for the tips. The pop up ads can be so annoying, they came out at their will. Hopefully this article will be of great help.